After a few weeks of soul searching and finger pointing by the media it’s clear that the nation is tainted by the slave trade. From royalty and church to the benefactors of the industrial revolution we carry the guilt like a genetic trait. How we deal with the legacy of our genetics is the measure of our development, we can despise these historical lines within and without ourselves but what is done is done. Today slavery is alive and well and permeates much of our lives. Modern slavery is under the wrappers of the cheap commodities we’re so addicted to. 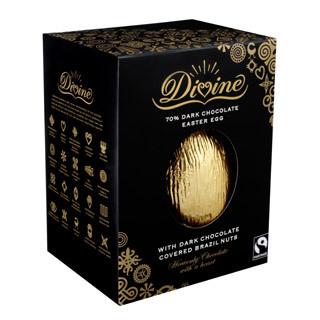 Next weekend for instance millions will devour tons of chocolate in the form of Easter eggs with much of it still contaminated by forced labour. The best appolgy for the past is personal action today. Ask questions, buy fair trade, Resist Free Trade! I don’t have much sympathy for David Irving personally but the notion of banging someone up for challenging an accepted truth is ludicrous. We take much of what is presented as news as the truth yet we know from experience that some stories turn out to be simple lies. The truth can take the knocks, if you scratch at the paint; you’ll only find the truth shines some more. To question the ‘Nazi Holocaust’ shouldn’t be a crime. It may seem an insult to the victims but a greater insult would be to foster an environment of passive acceptance. Heavy-handed suppression of free speech and hate dressed as newsreel allowed millions to be murdered under Hitler. We must defend the right to express an opinion even if it is unpalatable right wing tosh. BUT! If we’re committing those who ‘Deny’ to a few years in clink then top candidates must be President Bush and his experts for denying the potential Holocaust in the waiting, Climate Change.